Aaron Allston is a New York Times bestselling author and someone I’ve had the good fortune to meet and learn from. 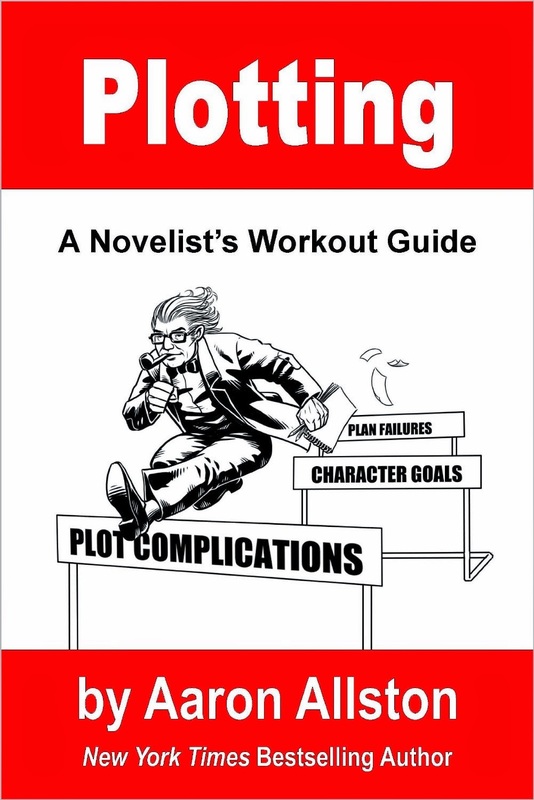 I jumped at the opportunity to be an advance reader for Plotting – A Novelist’s Workout Guide before its publication, and have been re-reading it since its release. The book begins with a section on theory, covering the definition of a scene, a discussion of where scenes come from, how ideas and characters interact to create a scene, and a section of exercises for creating scenes. He talks about messages, themes, character arcs, and more. Near the end of the book, he covers outlining methods and ways you can find and fix plotting mistakes. A series of checklists at the end make it easy to apply what you've read. The material is all useful and good. For me, the stand-out part of the book is the example woven through the text. Early in the book, Allston discusses research he did into ancient vampire lore. The vampires in these stories were smelly, disgusting undead monsters who preyed on their own families – a far cry from the "sparkly vampire" stories of today. In Plotting, Allston starts with this vague notion of a human-like monster preying on family members. As the book progresses, he walks you through how he would develop this concept into a complete story. He talks about the characters he'd need to tell the story, and why he needs them. He discusses the various scenes that such a story would need to be believable and interesting. By the time you reach the end of the book, you have a complete outline from which you could write a compelling story. Reading this book was like being able to peek over Allston's shoulder as he writes, watching the wheels turn in his mind as he works on this sample story idea. It's a rare glimpse into the process of plotting a story from beginning to end, as it's done by a successful, bestselling fiction author. Watching Allston work on this story, I began to see why so many of my own attempts have fallen flat and just how much I still have to learn. If you're just starting out and trying to answer the question, "Just how does a professional author get from idea to finished novel?" then this is the book you're looking for.